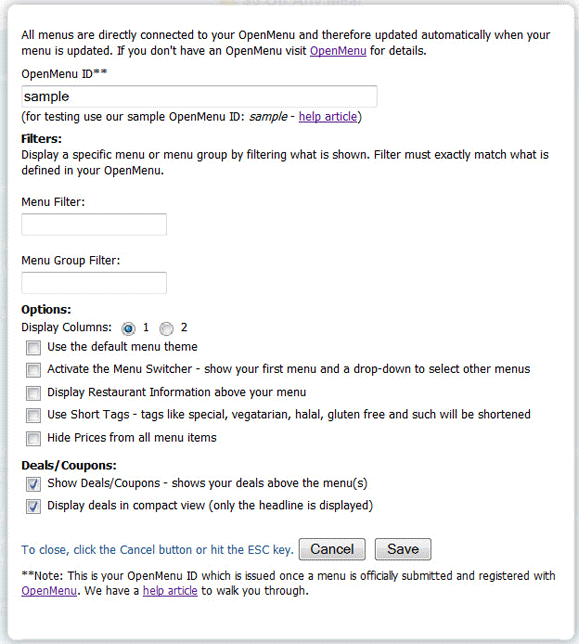 Automatically alert your Twitter followers to menu changes. 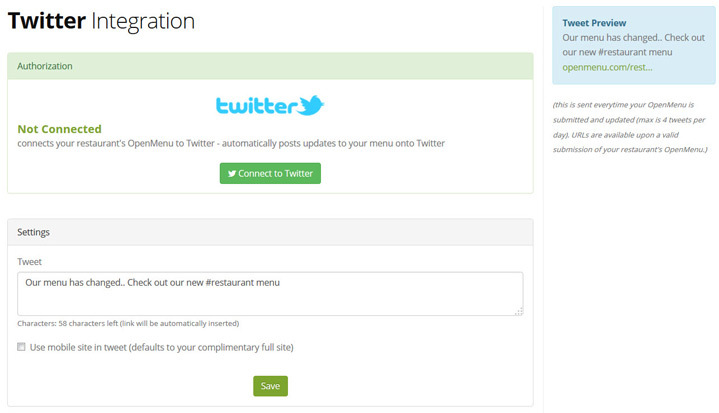 Get your new menu pushed out faster by leveraging the social power of Twitter. 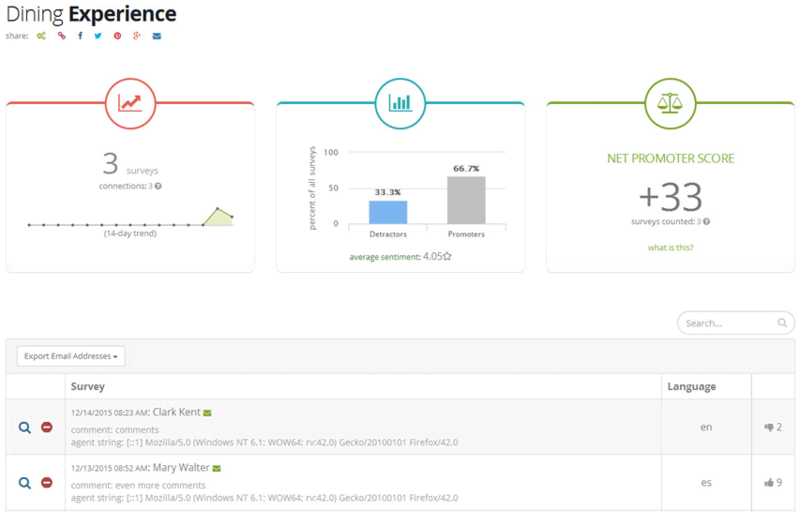 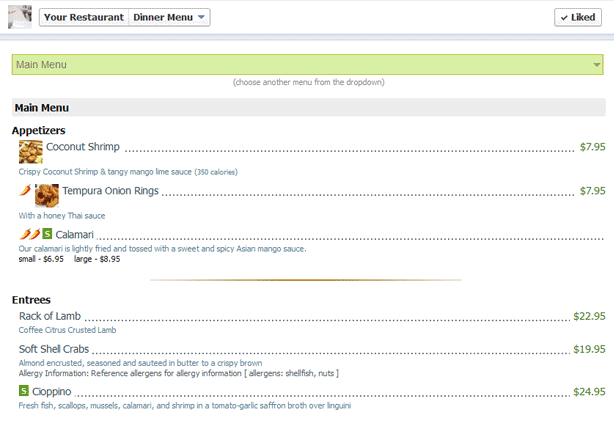 Get detailed Nutrition Analysis reports for your menu. 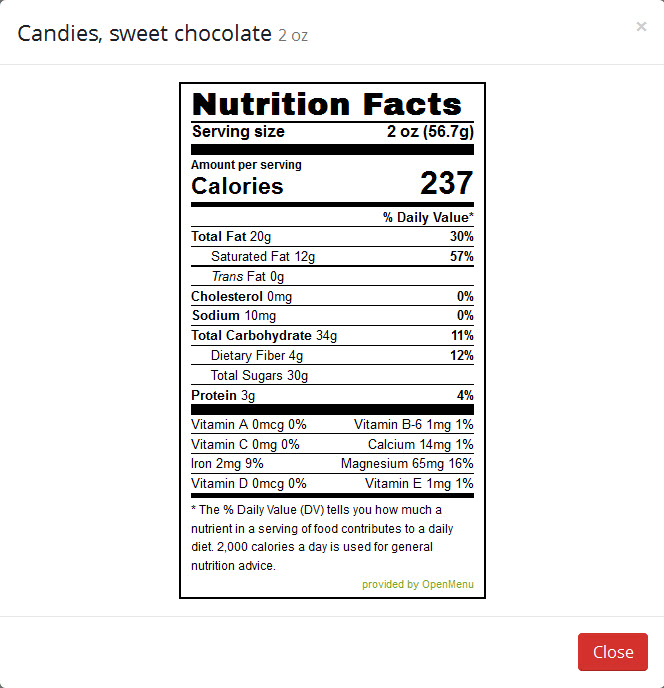 We even provide you customer friendly nutrition labels for your menu. 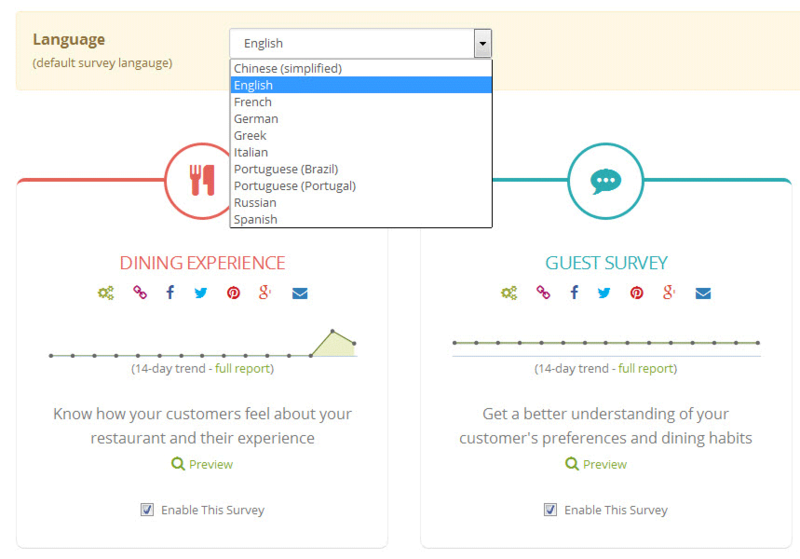 Guest Surveys lets you easily add Dining Experience and Guest Surveys to your menu, your website, in an email or on your social channels. 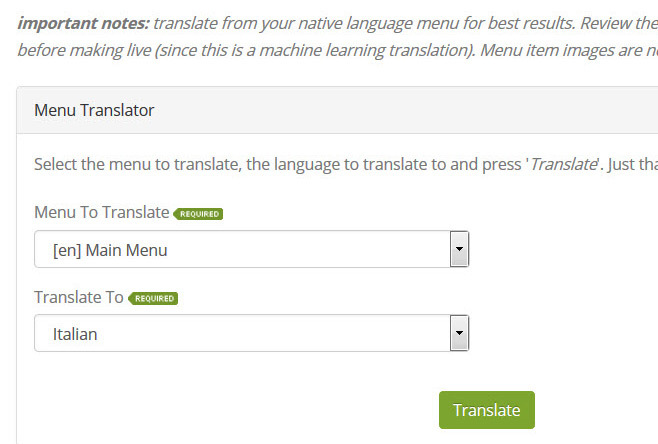 Available in 11 languages. 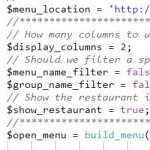 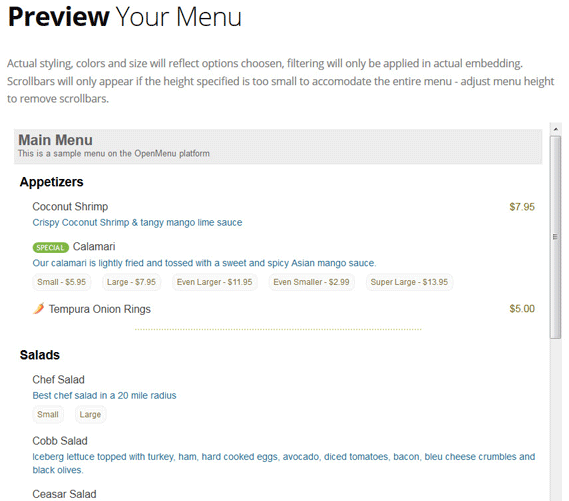 A fun way to analyze a restaurant's OpenMenu. 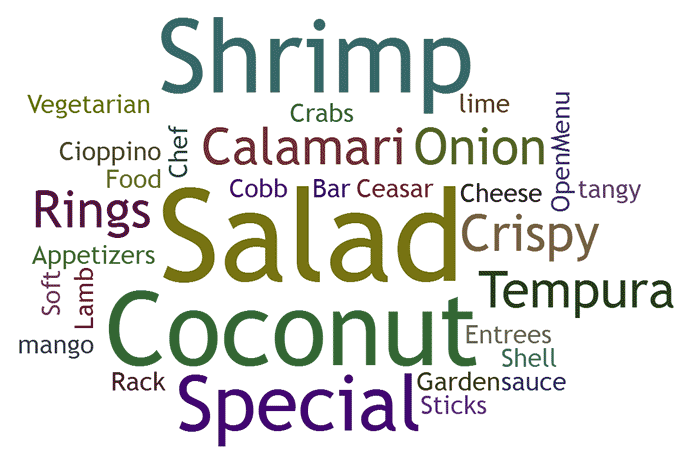 OpenMenu Cloud takes any OpenMenu and creates a word cloud from all the menu items. 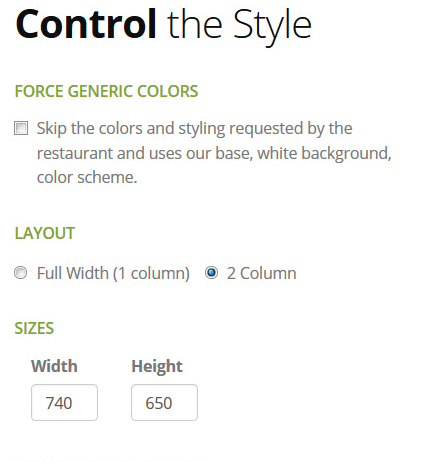 The more popular an item, the larger the font. 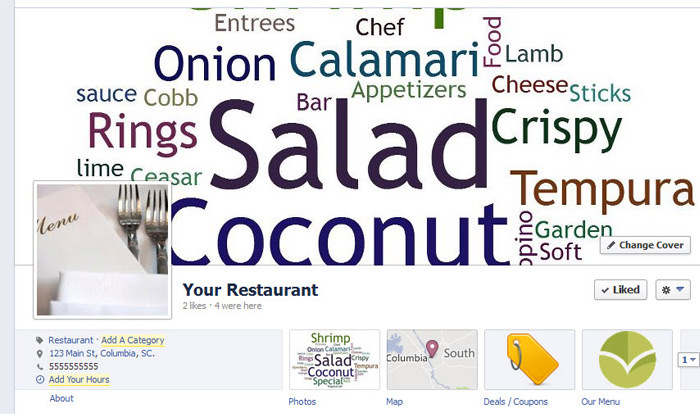 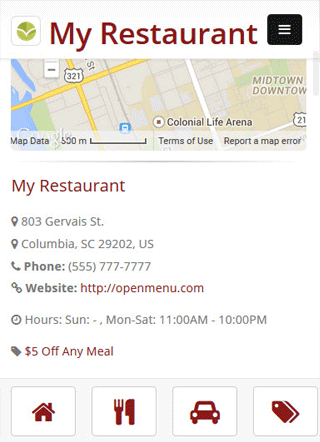 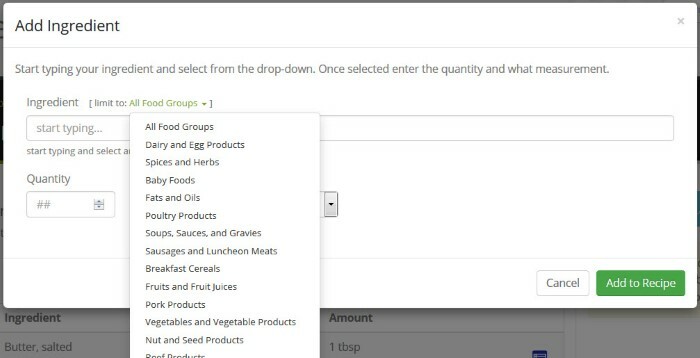 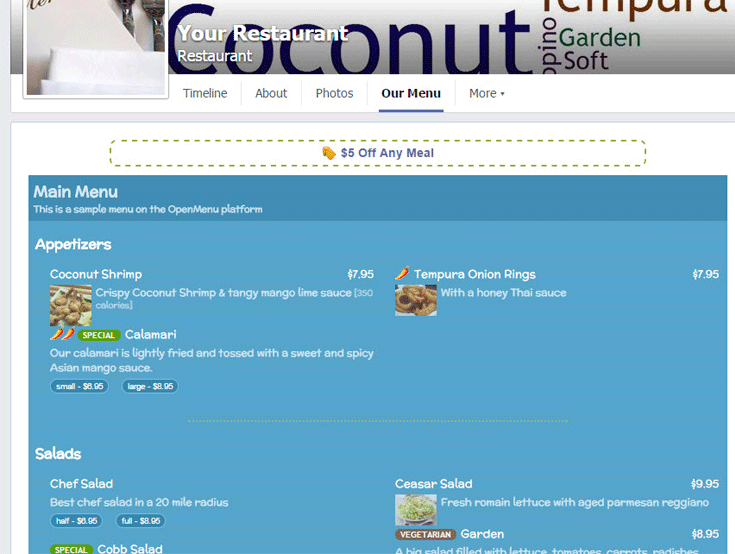 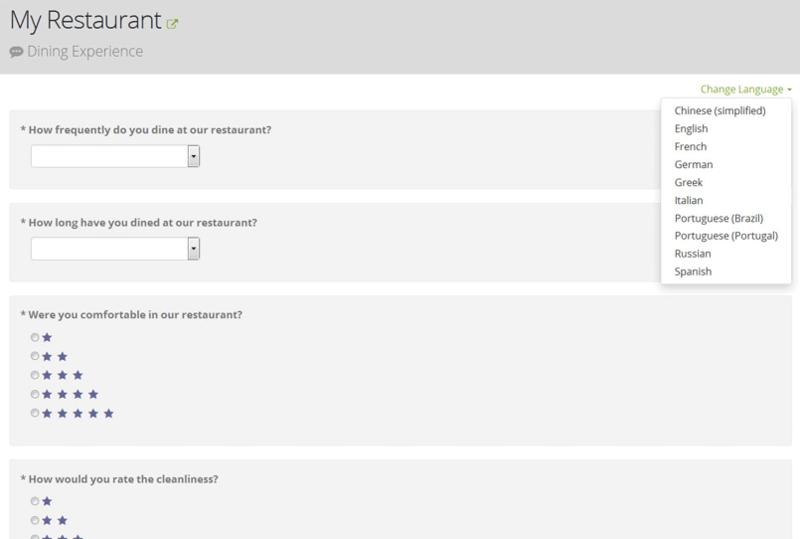 * log into your account and click the restaurant's name from the OpenMenu Creator. 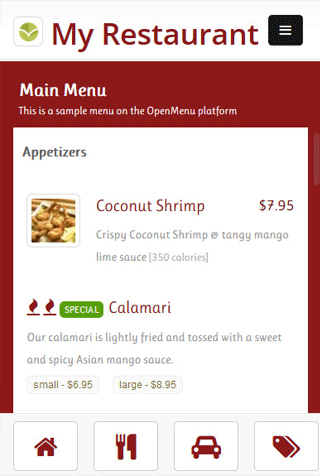 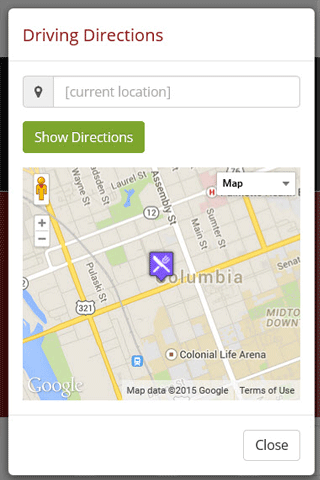 This will give you access to the advanced features for your restaurant. 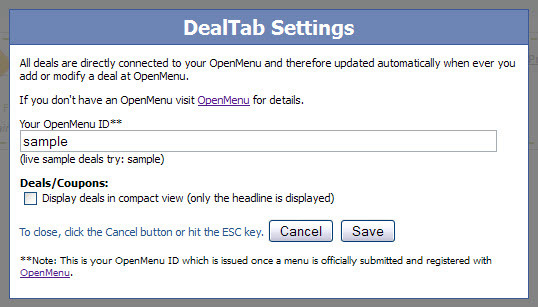 Don't have an OpenMenu, you're only 30 seconds from starting!